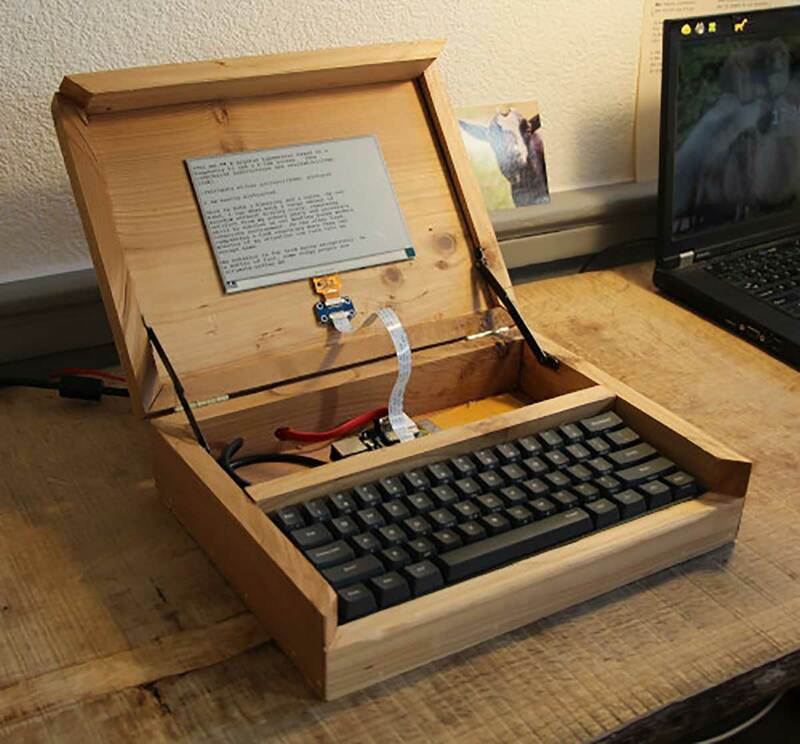 Ninjatrappeur built his own Raspberry Pi-based digital typewriter with an E-ink screen and a cheap keyboard. Total cost was about $180. He generously posted his build notes, and is seeking collaborators to help him improve on his prototype.